Samsung Galaxy S6 Price, Review, Deals, Cost, & Sales! Home / Compare Cell Phones / Samsung Galaxy S6 Price, Review, Deals, Cost, & Sales! When the Samsung Galaxy S6 was released, it has a radical design showcasing the use of glass and metal body casing to form part of a more premium tuned phone. The S6 comes with a 5.1" Super AMOLED screen with 1440 x 2560 pixels and a pixel density of 577 PPI. For the screen protection, it has a Corning Gorilla Glass 4. It has the same display screen specifications as the Galaxy S7. The Galaxy S6 comes with 32/64/128 GB variants and has no support for expansion slot. While the Galaxy S7 has the 32/64 GB RAM and has an expansion slot for up to 256 GB via microSD. This phone has a single downward-firing speaker located at the bottom. It is loud and is audible even in open environments with minimal distortions at higher levels. The S6 has a front-mounted fingerprint reader embedded in the home button. Performance wise, it is fast and is mostly accurate. 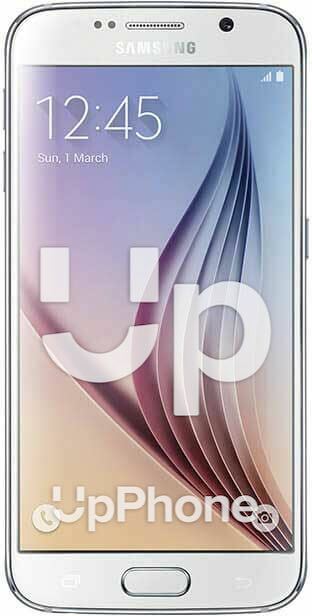 The Galaxy S6 runs on Exynos 7420 Octa-core (4x2.1 GHz Cortex-A57 & 4x1.5 GHz Cortex-A53). Although dated and not as fast as most phones today, it can still handle a number of common apps. While the Galaxy S7 has the much faster Exynos 8890 Octa-core (4x2.3 GHz Mongoose & 4x1.6 GHz Cortex-A53). Powering this device is a 2550 mAh battery which is tiny in today's standards. Talk time can last up to 20 hours over 3G and web browsing for 11 hours. It also supports wireless charging and quick charge. The Galaxy S6's gorgeous casing is made from a combination of glass and metal. This device does not support microSD. This phone supports wireless charging. The S6 comes with bloatware you can't uninstall. It can record up to 4K quality videos.